Gently cleanse and refresh with the Philip Kingsley Flaky/Itchy Scalp Shampoo; a gentle yet effective formula that helps to relieve itching and irritation for long-lasting comfort. Mild enough for daily use, the anti-dandruff shampoo eliminates flaking and build-up, whilst soothing the scalp and leaving hair feeling soft, shiny and manageable from root to tip. Imparts a pleasant Apple fragrance. Use daily to cleanse the scalp and thereafter at regular intervals as required. Apply to wet hair and lather well with a gentle kneading of the scalp. Rinse and repeat if necessary. 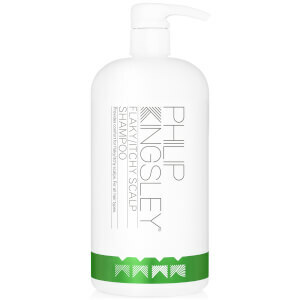 Follow with the appropriate Philip Kingsley conditioner and scalp toner for flaky/itchy scalps.